We provide direct, door-to-door, transportation for midshipmen and their families including guaranteed service to/from all airports, rail stations, and hotels. Reservations are highly recommended! REQUEST RESERVATIONS ON-LINE 24 hours a day!!! Reservations Desk closed? No problem! Use the MAKE A RESERVATION link to the left and request service whenever it's convenient for you! "Like" us on Facebook for a DISCOUNT coupon! "Like" us on Facebook, click on the 10% Discount Tab, and you'll be able to print off a coupon worth 10% off your travel! REWARD!!! Looking For Clem Holiday !!! 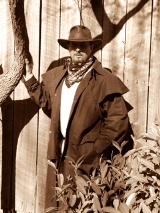 If you should see Clem Holiday in your travels, call our office right away! You might claim a nice little reward! 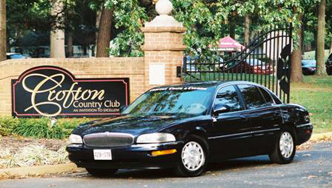 Passenger Transportation - Coach and Courier, established in 1995 specializes in community-based, door-to-door passenger transportation services and currently serves Anne Arundel County, Kent Island and Queen Anne's County on Marylands Eastern Shore and portions of Northern Prince George's County. Service is available 24 hours a day to all points of interest and commerce in the Baltimore / Washington / Annapolis metropolitan area including all three major airports: BWI Airport, Ronald Reagan National Airport and Dulles International Airport. Private passenger transportation is also provided to rail and bus stations, hospitals, medical centers, sporting events, tourist attractions, museums, monuments, theaters, malls, local shopping centers and children's day care facilities, schools and activities. Reservations are recommended. All major credit cards are accepted and corporate accounts are welcome. If you are considering using a ground transportation service, make sure to give us a try. Reservations can be requested by calling our office(s) Monday through Friday 9:00 AM to 6:00 PM EST and Saturday 9:00 AM to 12:00 PM EST. While we always attempt to accommodate last minute requests, we highly recommend that you make your reservations at least twelve hours prior to the time you wish to have guaranteed service provided. Coach and Courier generally offers direct door-to-door service, thus eliminating the inconveniences usually associated with shared ride operations. Customers will enjoy the personal service offered by our friendly and courteous drivers. Parcel Transportation - In addition to passenger transportation, Coach & Courier also provides general messenger and delivery services for the delivery of your parcels, packages, and/or documents. Same day, rush, and regularly scheduled delivery services are available. Whether you are working from your home office or from a large commercial facility, Coach & Courier provides an array of transportation services specifically designed to meet your courier needs. Ride In Comfort With Us!